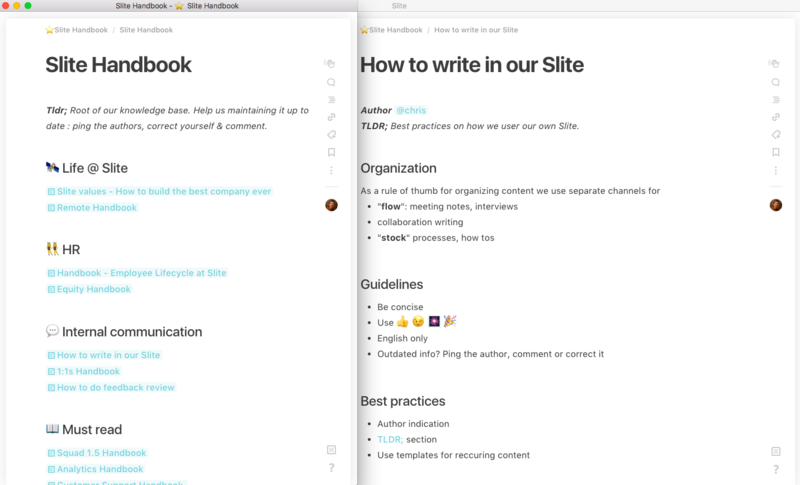 Become a Slite pro by discovering some useful but hidden features! Insert trello cards, youtube video, the date of today, tables & more in a flash. How? Hit slash "/" and type what you want to insert. 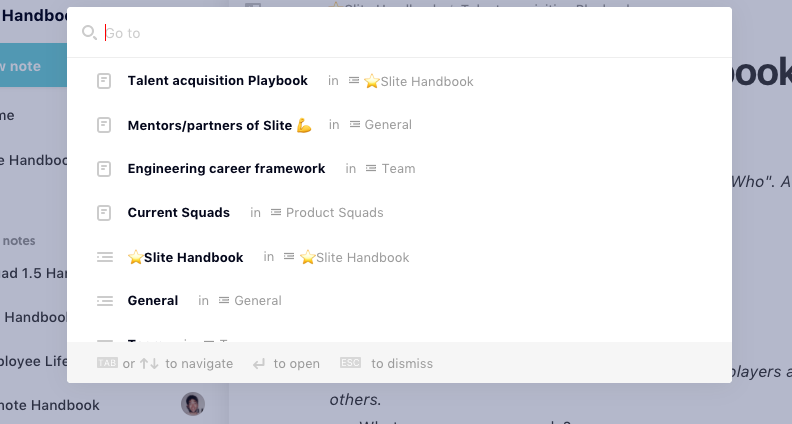 Navigate and access notes you know in no time. How? Hit cmd/ctrl + k to open it or the quick switch button on top of the 1st column. 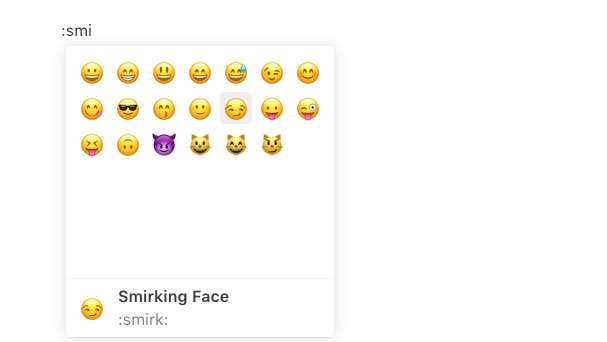 In the desktop app, you can open a note in a new window. Pretty useful when you're working on different notes simultaneously. That way, you can have a note and the app or two notes side by side. How? Double click on a note in the second column. Channels are public by default so all your team knowledge is transparent and accessible. 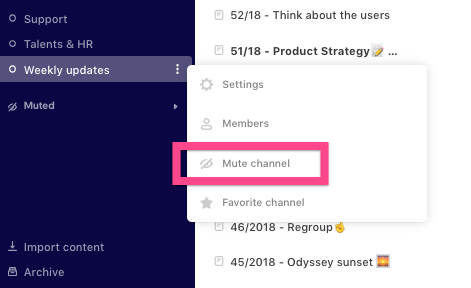 Muting a channel can be useful to reduce the noise from those channels that are less relevant to you. 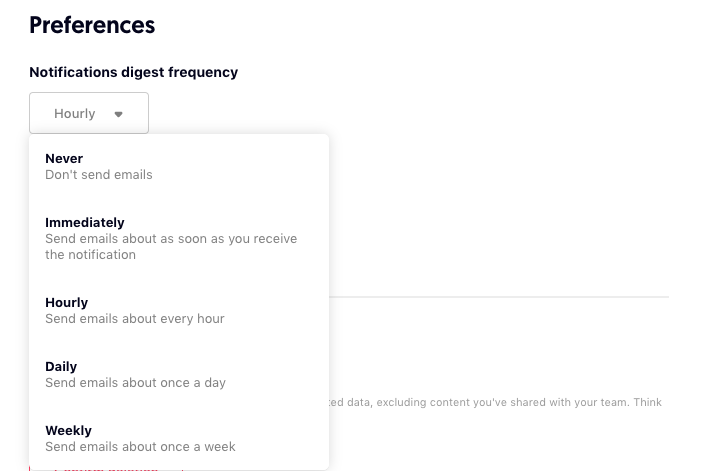 You can set your notification digest frequency to adjust it to your need! How? Via your Profile settings.